This episode includes: The Back Porch, The Front Porch, On the Screen, and Prize & Contest Announcements. I’ve completed several projects, including two Pom Pom It! hats by Stephen West. 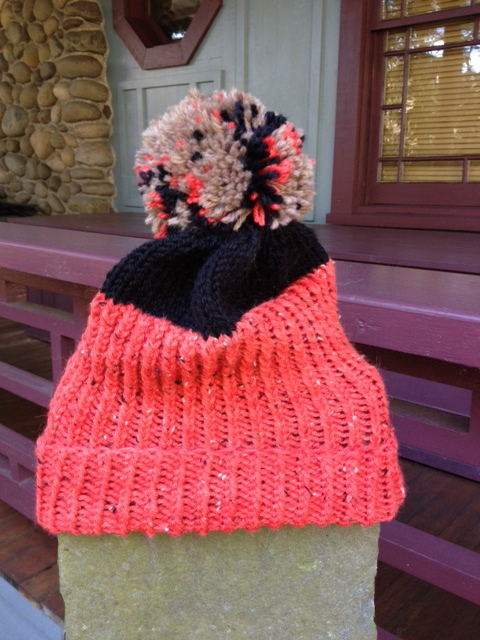 This is a great project for using small amounts of worsted yarn. The pom pom topper pulls the whole hat together and makes it look wintery. I experimented with different yarns in the pompoms. I also blocked the 22 Little Clouds shawlette by Martina Behm. Before blocking, this shawl didn’t look like anything much. I took it off the needles and it rolled up like a tube. Gasp! But blocking worked wonders. The colors of Frolicking Feet DK are soft and lovely without belonging to the pastel family. I’m really enjoying the knitting on Ikarus by Simone Eich of Wollwerk designs. It’s an asymmetrical shawl with a garter stitch center section and two stockinette sections with two different borders. 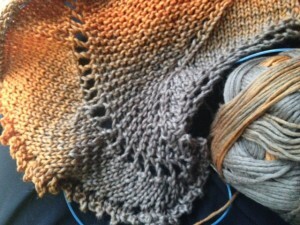 The shawl reaches out to one side, which gives it the appearance of a wing. 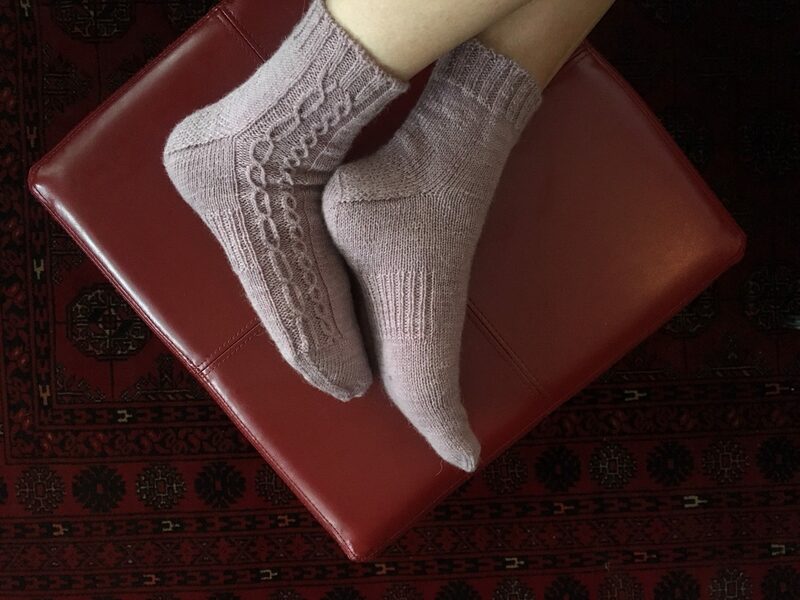 Schoppel-wolle gradient is a single-ply yarn that’s a pleasure to work with. Congratulations to Sherry McKinnon and SallyfromIdaho, who were selected as winners in the Teacher Tribute Challenge. And thank you to everyone who participated in Yarns at Yin Hoo’s first contest. Our November contest is called Side Dish. This contest will take place on the Yarns at Yin Hoo discussion board on Ravelry. Please join the group in order to participate. Tell me about your favorite side dish for the harvest table. Recipes and links to recipes are welcome! This contest will run for the month of November. The randomly-selected winner will receive a skein of yarn from Beesybee Fibers in the Cactus Bloom colorway. 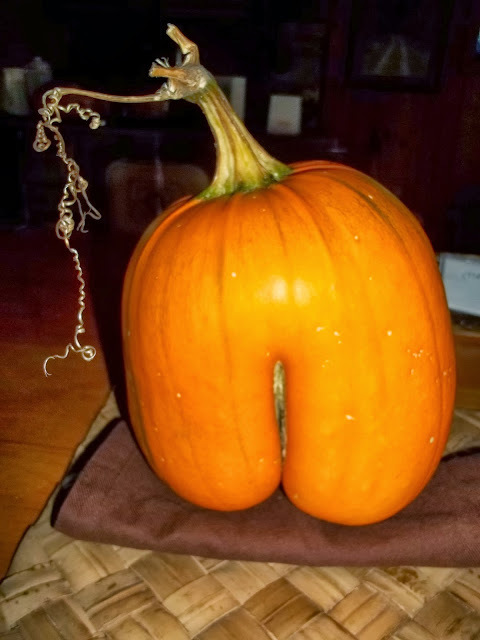 Did you know that a serving (1 cup) of cooked pumpkin provides nearly 200 percent of recommended Vitamin A, about 20 percent of recommended Vitamin C intake, and as much potassium as a banana? 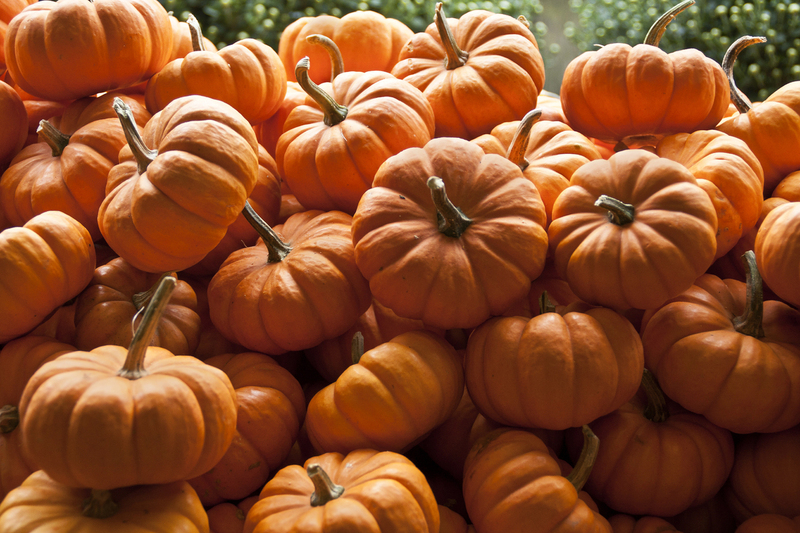 Pumpkins are tasty, versatile, and a reliable source of fiber and beta-carotene. In this episode, I’ll provide recipe ideas that feature pumpkin for breakfast, lunch and dinner. Breakfast, Lunch and Dinner — It’s Pumpkin All the Time! Here’s an ingenious idea from my friend Kristy of Creative Wisdom Wellness. 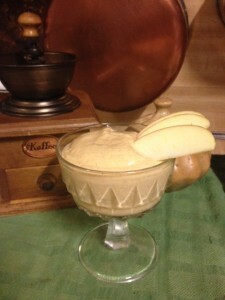 I subscribe to her e-newsletter and this week it came with a recipe for Pumpkin Breakfast Mousse. Very easy and very, very tasty. You probably have the ingredients in your fridge and pantry right now. It might even sneak its way into my lunchbox. I love it for so many reasons; one is that it’s the perfect opportunity to use some of my Vermont maple syrup. Fall is the season to roast just about anything. Pumpkin, acorn or butternut squash — even sweet potatoes will work in this recipe. Creamy Harvest Soup is simple enough for a quick lunch, and hearty enough for dinner. I cut the vegetable in half, scoop out the seeds, and place each half cut-side-down on a baking sheet, then roast in a 350 oven until they are fork tender. Onions and apples can roast on the same baking sheet, if you’re into complex flavors. Scoop out the pumpkin flesh and freeze any extra. Combine two cups of cooked pumpkin with one cup each chicken broth and coconut milk. Puree in a blender. Add salt and seasonings. I prefer sweet curry powder in this recipe. 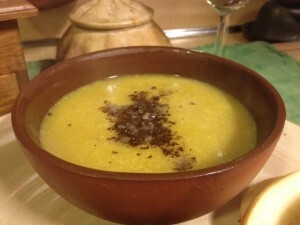 Ladle soup into warmed bowls and garnish by grating a frozen Mounds bar over the top of each serving. And for dinner, Dorie Greenspan’s Pumpkin Stuffed with Everything Good. This is my kind of recipe because there are no rules. If you’re like me, you will read through the recipe and then go off on your own culinary adventure. Stale bread (can you imagine corn bread in this recipe?) a variety of cheeses, eggs, milk — how can you go wrong? I think this is also a canvas for experimenting with spices. 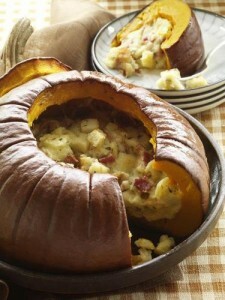 If you have vegetarians dining with you at Thanksgiving, make this dish! It elevates a vegetable to the status of “main course,” and is more exciting for your vegetarian guests than a mish-mash of side dishes. If you put your thinking cap on, you could prepare a vegan version of this recipe. 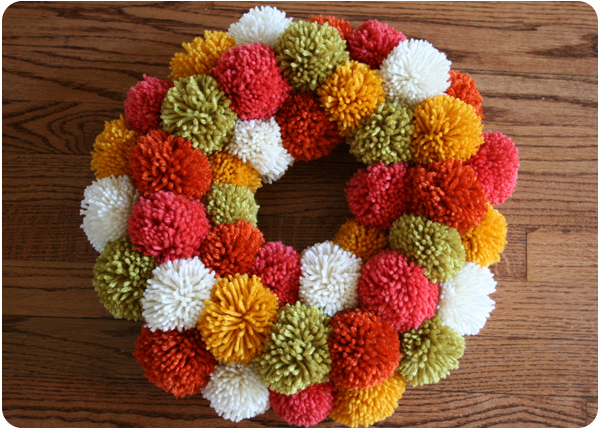 Pompom has its origins in the French word for pumpkin, pompon. To make fun, festive pompom’s check out the video Stephen West made to accompany his pattern, Pom Pom It! 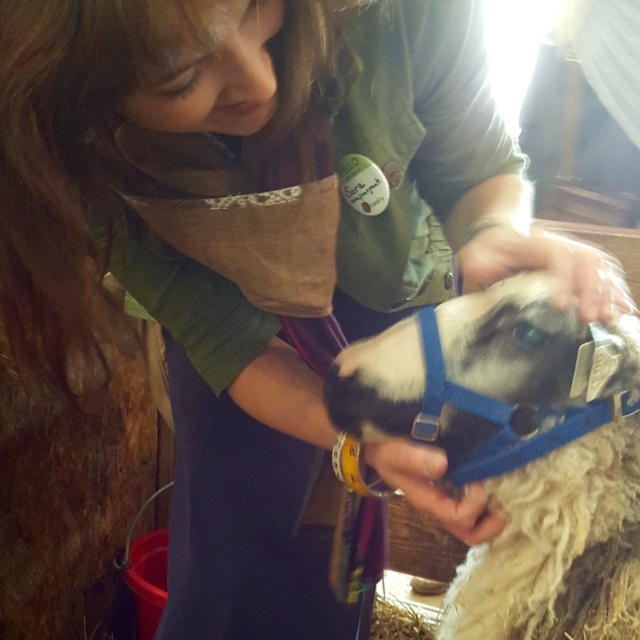 This episode features an interview with Sherry of Spinner’s End Farm, located in Michigan’s Upper Peninsula. 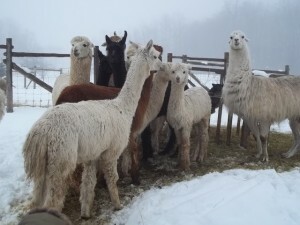 On her blog, Sherry lists the animals who live at Spinner’s End: a herd of Shetland Sheep, English angora rabbits, two olde English babydoll southdown sheep, three rescue llamas, two pygora goats, forty some odd chickens (but who is counting? ), two ducks, three dogs, two cats, three guinea pigs, and a goldfish, not to mention the rescue alpacas that were the beneficiaries of a Kickstarter project that concluded early this spring. I had been looking for a Kickstarter project to support because Samuel’s band, Bovine Social Club, had recently been successful raising the funds for their first album with Kickstarter. I was overwhelmed by the generosity of people who gave money to a project they believed in. The band was able to hire Tim Carbone of Railroad Earth to produce the record. It was really special and I wanted to support someone with an innovative idea. 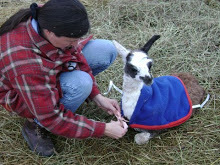 When I found out about Spinner’s End Farm and Sherry and Will’s desire to rescue some local alpacas, I knew I had to participate. 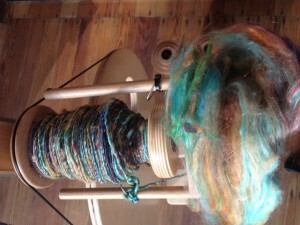 So I contacted Sherry, who was generous with her encouragement of my spinning. I was just about to take a beginning spinners class and she sent me the fiber and spindle that I selected as my incentive so I had it for the first day of my class. My first several skeins of handspun are Spinner’s End specialties. A few months later, I used some sari silk fibers from her Etsy shop to create a yarn that became my first weaving project. As soon as I launched the Yarns at Yin Hoo podcast, I contacted Sherry and asked if she would be willing to do an interview for the show. We exchanged ideas and mp3 files via email and Facebook messages and I’m excited to introduce Yarns at Yin Hoo listeners to Sherry and her family. There are still a few days left to enter. 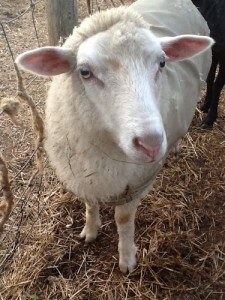 You could win one of two prizes I selected at the NY Sheep and Wool Festival last weekend. 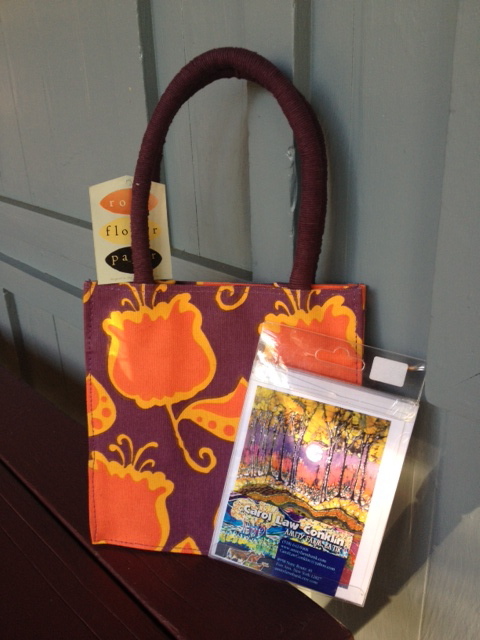 A darling project bag from rock, paper, flower, OR a set of enchanting cards printed from the batiks of Carol Law Conklin. Check out the show notes in Episode 7 or listen to any of the recent podcasts for more information. If you want to hear more of the Bovine Social Club’s, grassy, twangy, swinging breed of Americana music, check out their website. 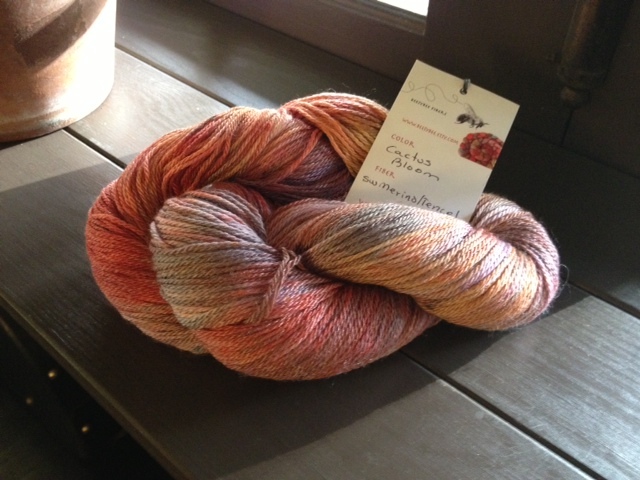 This episode includes segments titled: Yarn Lover at Large, Off the Shelf, and The Back Porch. The Yarns at Yin Hoo website was hacked over the weekend. The situation has now been corrected. Thank you to everyone for your patience. My site was one of many that were compromised and my server, Machighway, has restored regular service. 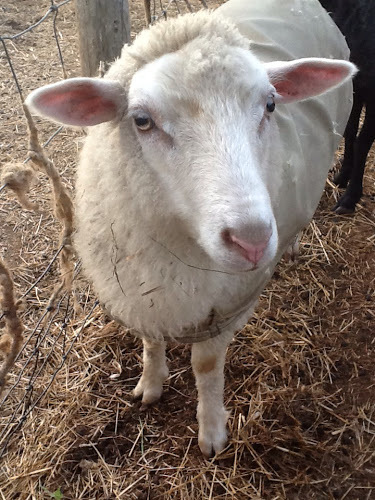 My first trip to Rhinebeck for the New York Sheep and Wool Festival was everything I expected and more. A sunny October day with a light breeze would be a treat all on its own; but paired with the festivities at Duchess County Fairgrounds, it was dazzling. The place was swarming with my kind of people: artsy, funky, eclectic free spirits — all with huge grins on their faces because seriously, there was nothing to do but walk around happily, among other people walking around happily. When I returned home, I was completely exhausted by my whirlwind of a day, but inspired and encouraged too. I had little conversations throughout the day with knitters and fiber lovers from all over the world. In the photo above, I’ve just met four women from Iceland who were questioning me about the welts in my Batad. Videocaster Malia (rhymeswithmaria) calls Rhinebeck “knitter prom.” It’s a see and be seen kind of event. 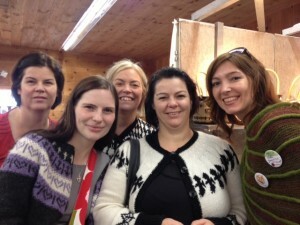 If you’ve ever felt that your knitwear is under-appreciated or even unnoticed, you need to go to Rhinebeck. My Batad by Stephen West was perfect for the crisp weather. I was warm when I walked around outside, and comfortable inside the buildings. The striking architectural design attracted attention and lots of questions. Best of all, I felt proud of myself for following through on intentional spinning and a challenging pattern with several new techniques. I stuck with my shopping plan: buttons, new to me fiber, new to me yarn. If I get to attend Rhinebeck again in the future, I will go even further and concentrate on vendors with which I’m totally unfamiliar. This time, I did make purchases from a few vendors I knew about, but whose products I had not yet tried. Purchases included: buttons from Melissa Jean, fiber in the honey to fig gradient from Fiber Optic, mill ends (bargain) sock yarn in Rare Gems from Socks that Rock, and worsted weight yarn in the color Bean from Creatively Dyed Yarn. I’m attempting to complete all current projects so that I can get spinning and knitting with my new purchases. I wasn’t thinking too much about a book tent with authors signing their work, but this aspect of the festival turned out to be one of the most rewarding. I didn’t expect to be doing any Christmas shopping, either, but I left with two signed books that will be perfect for loved ones on my Xmas list. 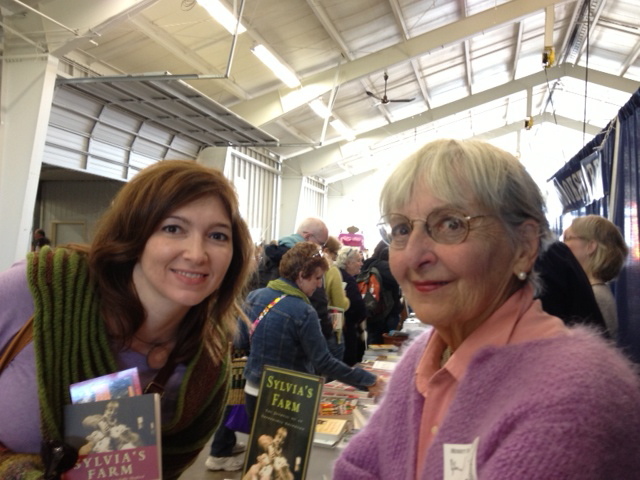 Sylvia Jorrin is the author of Sylvia’s Farm. Soft-spoken and charming, with piercing eyes, she kindly chatted about her farm, her sheep and her writing process. She’s not very tech-savvy, and sends her handwritten pages off to a typist. So elegant and quaint, right? Edith Wharton did the same thing. Verlyn Klinkenborg, New York Times columnist, was signing copies of his collection of essays / memoir titled The Rural Life. The bus trip from Emmaus with Conversational Threads was a great opportunity to get a lot of knitting done. I completed my 22 Little Clouds shawlette by Martina Behm. This morning, exhilarated by my exposure to so many knitters, I completed the finishing work on Samuel’s Stringband. It looks very handsome and it’s incredibly soft and warm. Finally, I gave the porch a good cleaning, then sat outside for several hours and finished spinning my art batt from Beesybee Fibers. It yielded about 180 yards of lumpy-bumpy singles. My plan with this yarn is to use it in a weaving project. One of my shopping objectives at Rhinebeck was to find prizes for our contest, which ends on Halloween. For entries to Episode #7 on the Yarns at Yin Hoo website: Batik notecards from Carol Law Conklin. For entries on the contest thread on Ravelry: a charming little project bag from rock, flower, paper. This episode features segments titled: Ever-expanding Skill Set and Yarn Lover at Large. Over the Rainbow Chard: an ideal autumn dish, rich in all the nutrition of leafy greens, that can be served as a main course or side dish. Try the recipe with rainbow chard, swiss chard, spinach or kale. In a cast iron saucepan over high heat, sauté 1/8 cup diced dry cured meat until soft. Add the chopped stems of a large bunch of swiss chard and sauté for about two minutes. 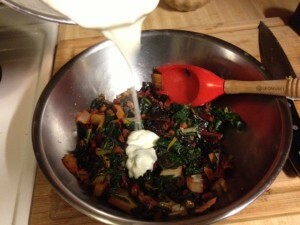 Add the chopped leaves of swiss chard, sauté for a few minutes and cover to wilt. After five minutes, toss in 1/4 cup of finely diced golden raisins. In a saucepan, melt 1 tablespoon of butter. Whisk in 1 tablespoon of flour and cook to make a roux. Slowly add 1 cup of milk or cream and bring to a slow boil. Allow mixture to boil for about 30 seconds, then add 1-2 ounces of goat’s milk feta and whisk to blend into the sauce. 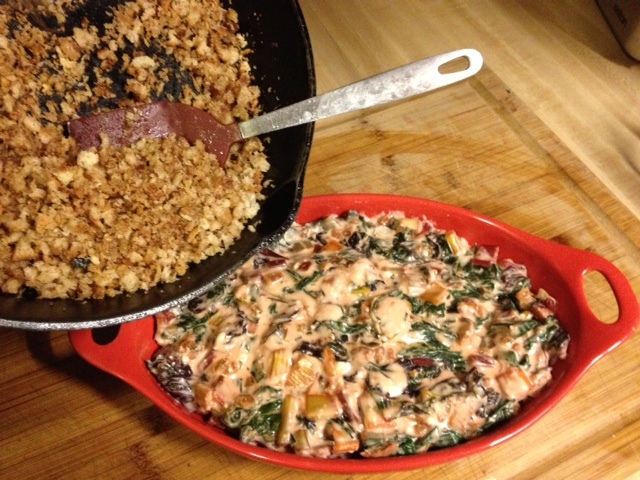 Combine cheese sauce and swiss chard mixture and pour into an oven-safe casserole dish. Reheat the cast iron pan. Add a tablespoon of olive oil and add 1-2 cups of bread crumbs. Toss to coat crumbs and saute until toasty. Sprinkle with 1/2 teaspoon ground cinnamon. Top the casserole with bread crumb mixture. Bake in a 350 oven for 20-25 minutes. My friend Kristy (wisdom wellness) and I did a bit of shopping at the Brass Lantern in Metuchen, NJ. 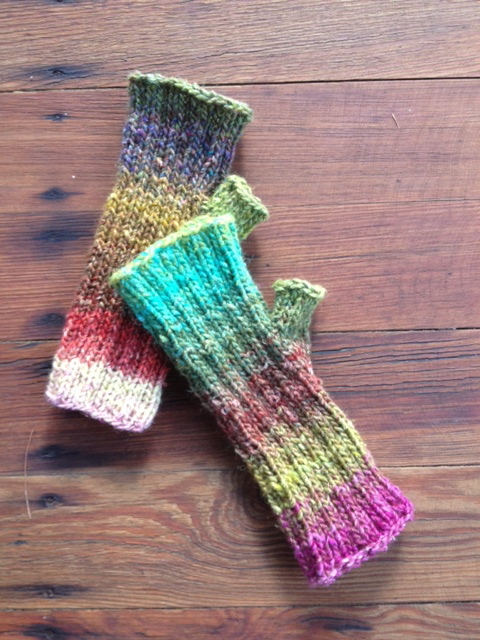 There we purchased some Noro yarn and dpns (double-pointed needles) to knit Clara Parkes’ Maine Morning Mitts. It’s a great pattern for beginners, knits up nicely for gift giving, and goes very quickly as you watch the magic of Noro colors between your needles. Mine were in progress at the time of recording, and now they’re finished. Can’t wait to pick out my next colors for this pattern. I’d like to experiment with different kinds of cast ons and bind offs, as well as different lengths from simple wristers to mitts that extend nearly to the elbow. Our little road trip to the Green Mountains included several stops and lots of driving around to admire the fall foliage. We tasted cheese and made some purchases at Plymouth Artisan Cheese. I highly recommend the Hunter, which is aged two years. In addition to cheese, the shop offers a variety of Vermont-made wines and beers, as well as maple syrup and other handmade souvenirs. In the evening, we took a drive out to Ripton Community Coffeehouse to hear a Quebec-based group called Goldilocks and the Three Bears. The performers were enthusiastic young musicians who played fiddle in a variety of styles from traditional reels to classical pieces. Several of the pieces featured French songs. Coffee and delicious desserts were on sale. 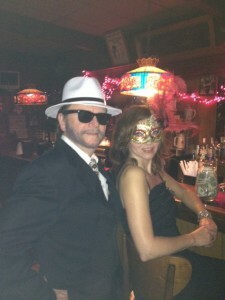 Proceeds from the evening go to a local charity. Finally, on our drive home, we stopped by the Dorset Farmer’s Market. In a charming little valley, this market features locally-grown produce and handmade items. A lovely little Sunday afternoon market. Unfortunately, there had just been a downpour before we arrived, so many people were shopping in ankle-deep water. I took three projects on the trip, but worked only on two of them. 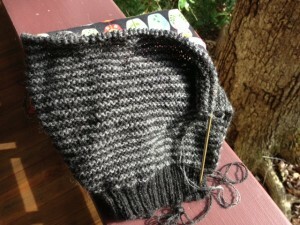 I’m nearly halfway through the striped garter stitch main portion of Stringband, a hat/cowl design by Stephen West. And I’ve begun 22 Little Clouds, a narrow shawl by Martina Behm. 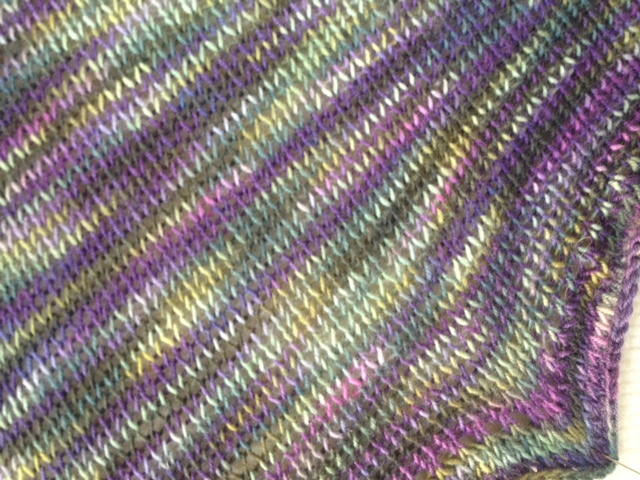 The Lavender & Sage color of Frolicking Feet DK is so pretty and makes knitting go quickly. Much of the weekend was spent visiting with my sister and her partner on their homestead. 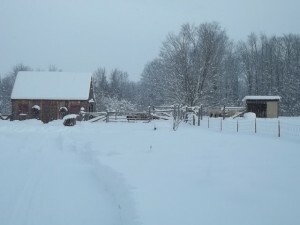 This year, for the first time, they plan to spend the winter on their farm, and there are many preparations necessary over the next few weeks. Snow can come early to Vermont, and it’s not fun to be taken by surprise. In this interview, Jessica discusses the natural beauty of Vermont, her philosophy on bee keeping, her recent harvest of root vegetables, and butter making. 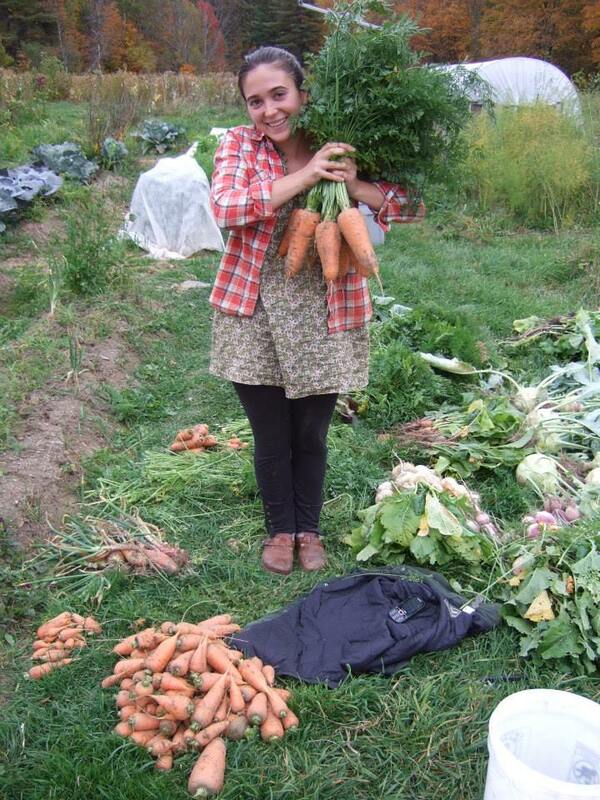 In the top photograph, Jessica shows off some of her 18 ounce carrots. 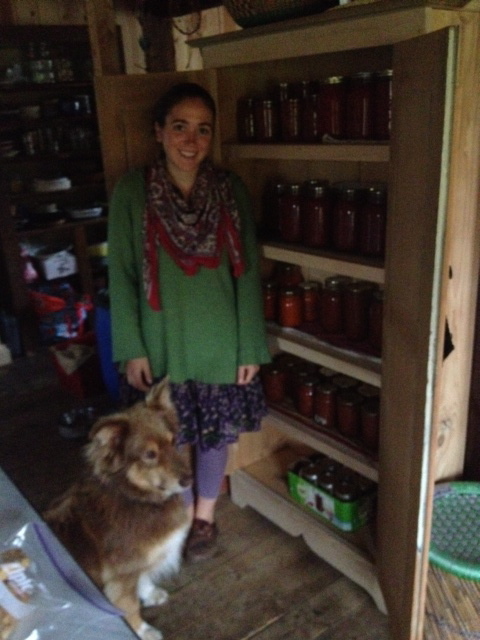 In the lower photo, she poses next to tomatoes grown and canned on the farm. Thoreau almost posed for his picture, but saw something interesting and darted away at the last moment. “Bees are somewhere between insects and God.” — I don’t know who said it first, but Jessica quoted it in our interview.